Attorney and Founder, Angela Moore is originally from Ghana. After graduating from the University of Ghana with her internationally recognized JD degree, she immigrated to the United States to pursue her Master of Laws degree as a student at the University of Georgia. 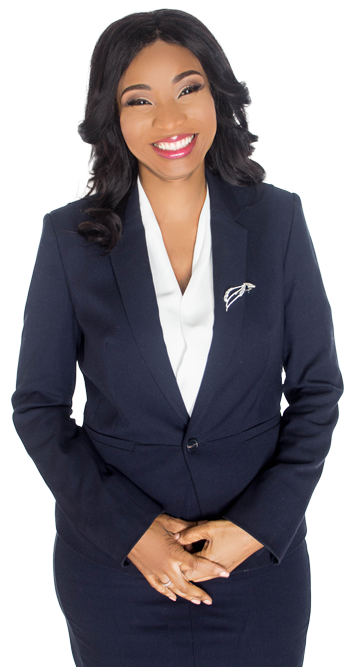 In 2013 she founded JJ Moore & Associates PLLC, specializing 100% in immigration services in the Nashville Area. When it comes to immigration law practice, sometimes the difference between two equally experienced attorneys is empathy. I am not only a trained and skilled attorney who is capable of giving you the best advice, I am also an immigrant who has experienced firsthand many of the frustrations and triumphs associated with the US immigration law system. When it comes to immigration law, sometimes people really have to walk a mile in those shoes to actually understand it. I have walked miles in those shoes and I am still willing to walk beside you and support you as you embark on that often confusing and scary journey to acquiring and maintaining legal status. In 2017 JJ Moore & Associates expanded practice areas to Family Law, Criminal Defense, and Personal Injury through licensing to practice law in the State of Tennessee by the Tennessee Bar Association. Angela Moore’s first priority is, and still always will be Immigration Law, but with the expansion of practice areas, can now serve the Nashville community to an even greater degree with the same expertise and empathy she provides for her immigration clients.